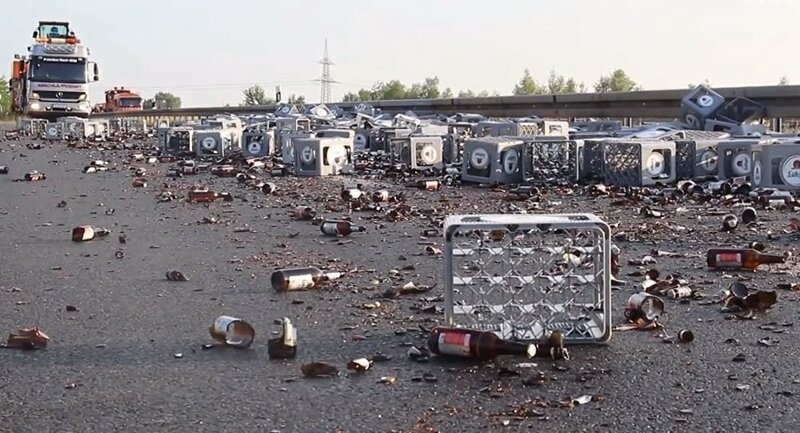 An accident involving a multi-ton truck occurred near Berlin: the vehicle spewed its crates of beer onto the road, blocking traffic. As a result, over 350 crates of beer tore through the tarpaulin covering the back of the vehicle and scattered across the highway. Road maintenance workers had to clean the road using a bulldozer, as the driver of the truck tallied his losses.